Happy Tuesday! I hope everyone had a great weekend, which probably already seems so far away at this point. I've found it super hard to sit down at the computer and get a post up for Monday, seeing it is still the middle of my weekend. 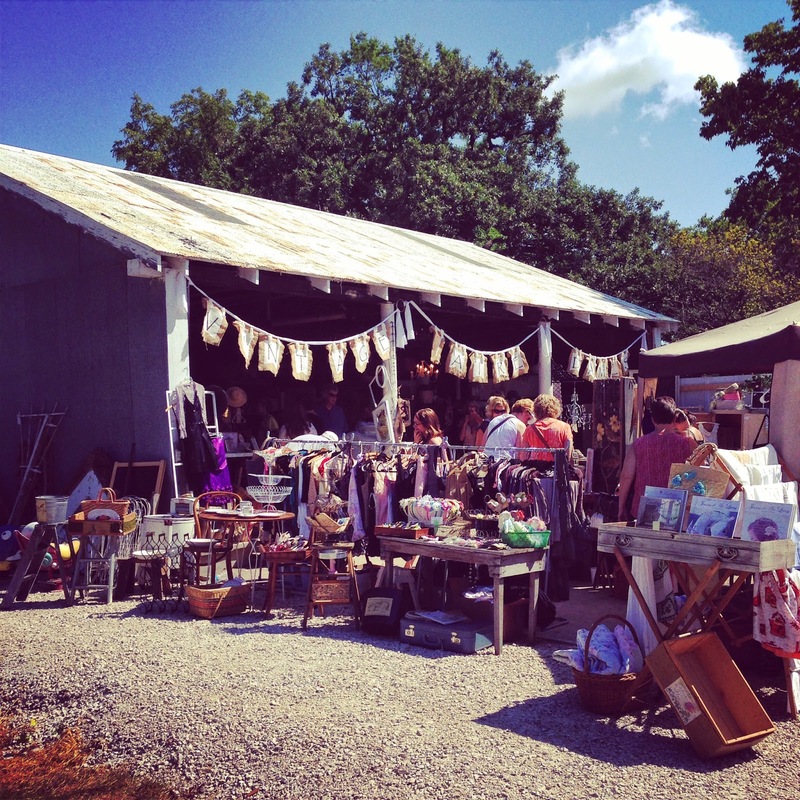 Our weekend was pretty full, including a trip to The Vintage Faire, and wrapping up work on the bathroom! This weekend we also got our first haul from our garden, which included a few zucchini, a cucumber, some onions, and a few green peppers, so of course I had to put some of that to good use. I've really been trying lately to cut back on eating refined sugar and instead finding more natural alternatives. It's hard for me because I have a super big sweet tooth and love finishing each meal with something sweet. The nice thing about summer is there is an abundance of fresh fruit, which helps, but sometimes you just need a little more than that! 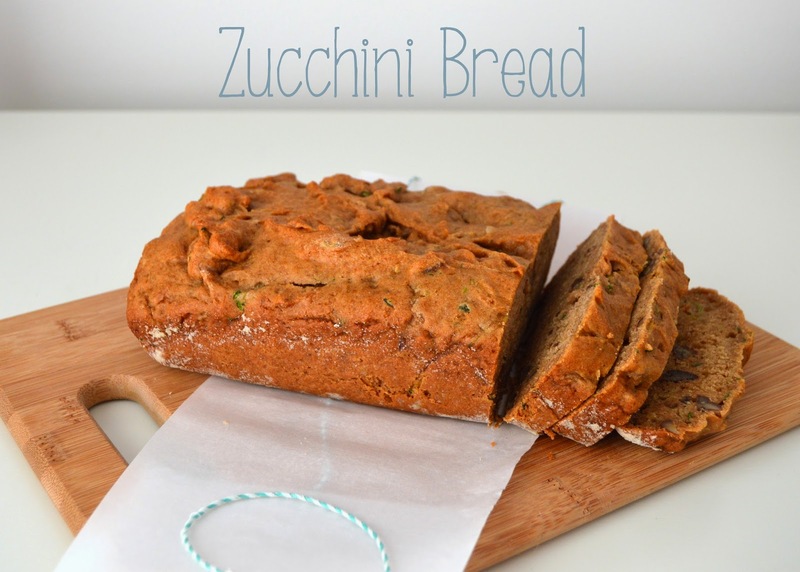 I thought with the zucchini from our garden I would try my hand at some zucchini bread. I'm not usually one to tweak, modify my recipes at all. I mean they are designed to already work, right? But since I was going for a healthier version, that I did, and I have to say it turned out pretty good! Preheat your oven to 315 degrees, grease and flour two loaf pans. In a separate bowl combine together the eggs, coconut oil, vanilla, agave nectar, and coconut sugar. Combine the wet and dry mixture, making sure to stir out any clumps. Add in the zucchini and walnuts. Divide into two loaf pans. Bake 40-50 minutes, or until you can pull a clean toothpick out of the center. Let cool in pans. The best part is that the zucchini is so full of moisture so the bread is super moist, and just sweet enough with the agave nectar and coconut sugar. It always feels good to be able to make something from something that you grew! Hope you gave it a try, it's so good!